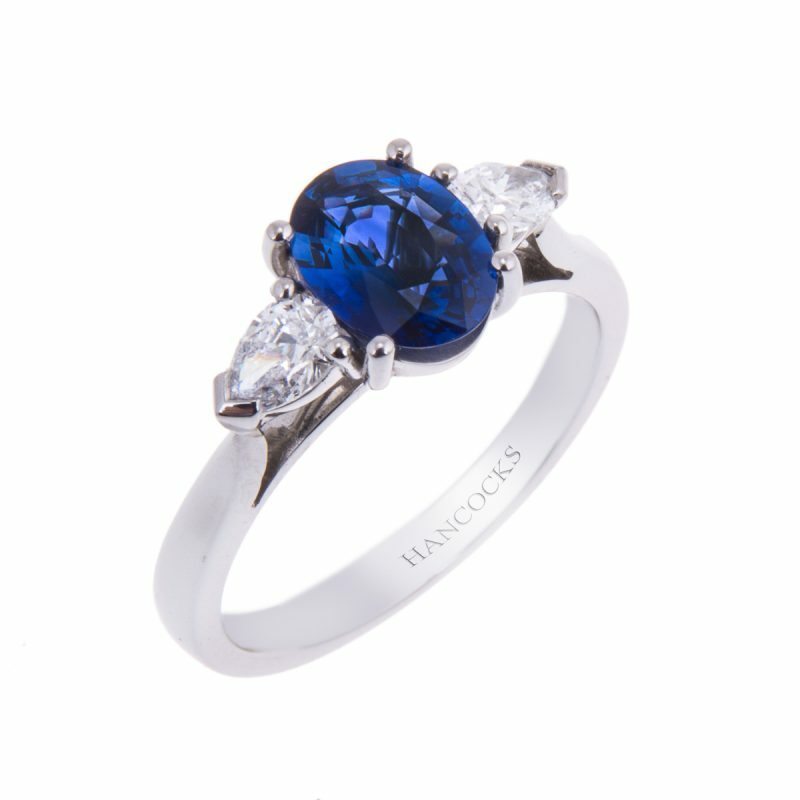 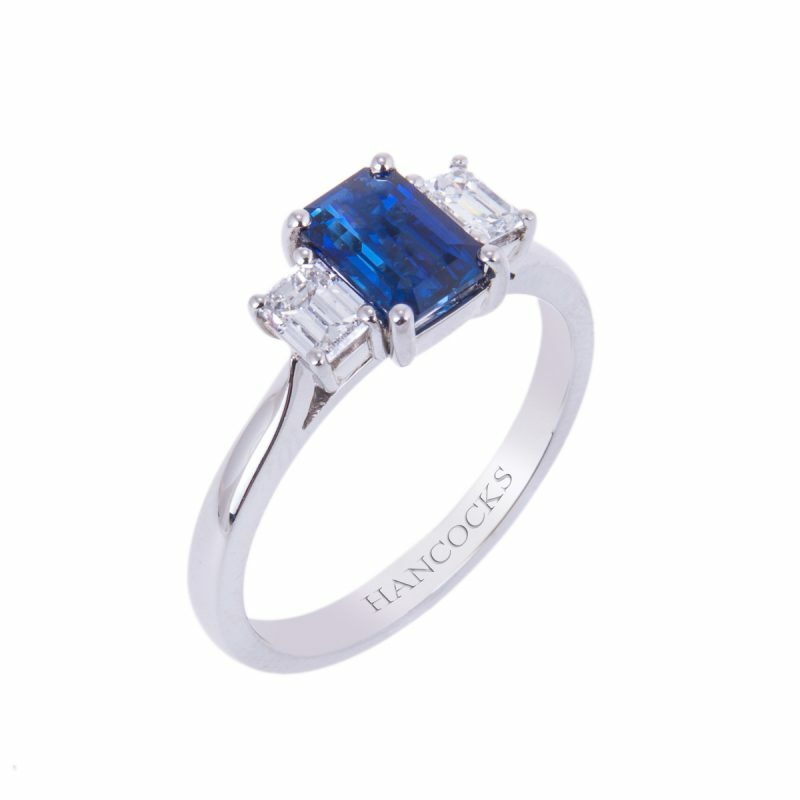 A stunning rectangular cut sapphire of the richest colour, Hancocks have emphasised the beauty of this unique gemstone by their choice of accompanying brilliant cut diamond either side. 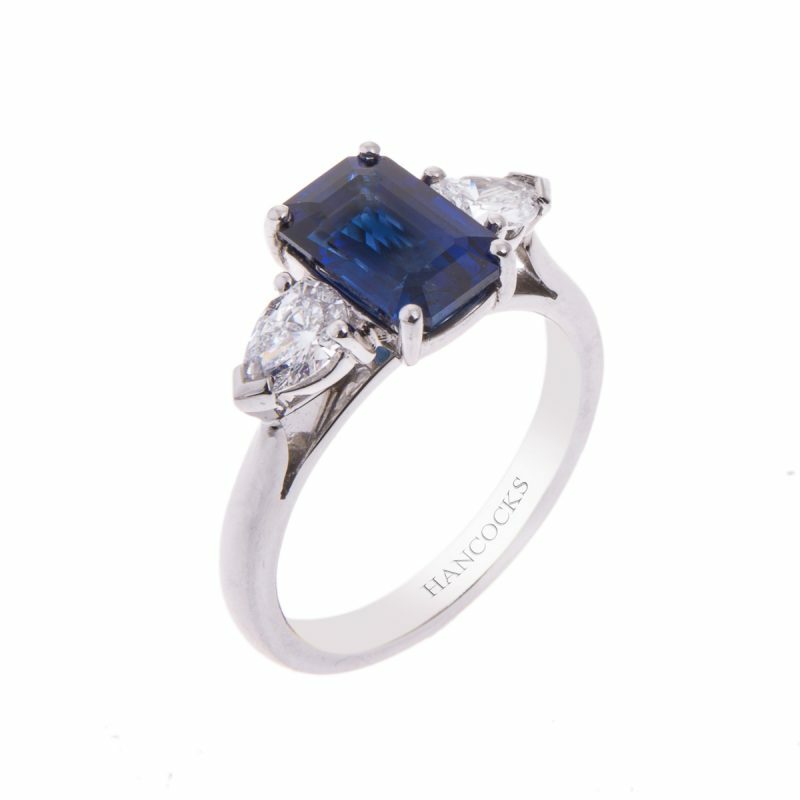 All mounted in a handmade platinum setting whose sweeping under-bezels and classic claws hold the stones securely. 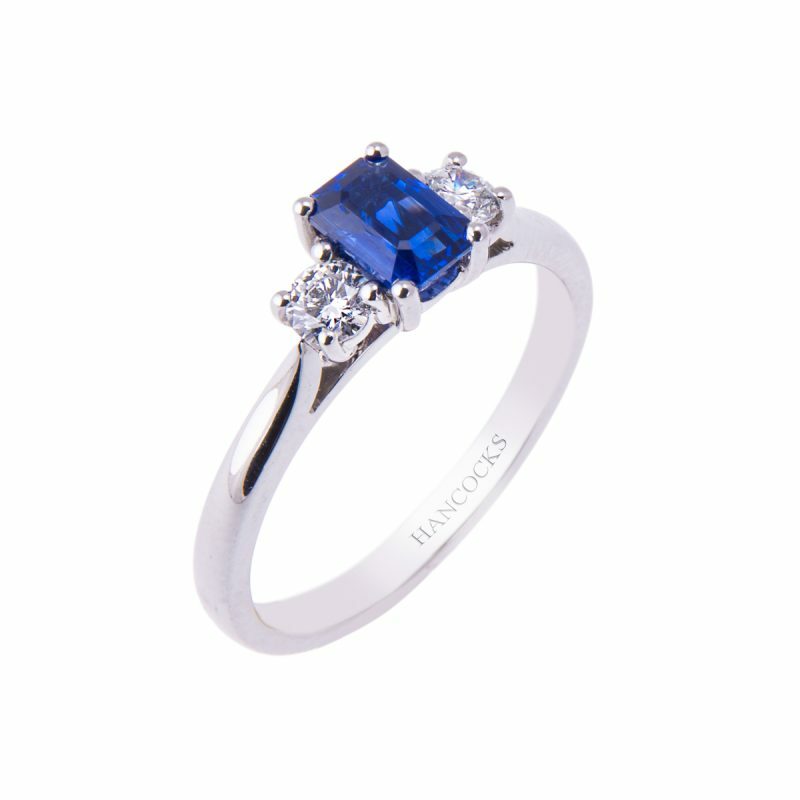 Second only to diamond in hardness, sapphires are a very popular choice as an engagement ring because of their excellent colour, durability and lustre.